An awesome palm and perfectly appropriate as an under-story tree and ideally suited to smaller gardens and remains as a small clump its entire life. Native to the limestone mountains and cliffs in tiny crevices often on sheer rock faces in southern China and also found in northern Vietnam. 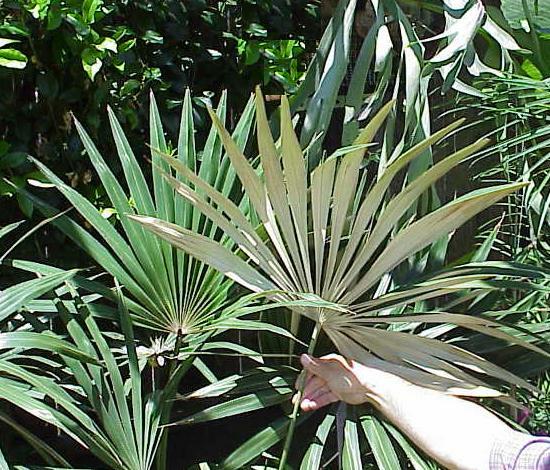 Commonly known as the Silver Back Fan Palm and also known as the Dainty Lady Palm. This can be a difficult palm to grow but some have had success with it even as low as 18�F. The suckering habit will also increase chances of survival in even lower temperatures since new trunks will continually appear. Adaptable and will grow in temperate to cool tropical areas, and will accept light frosts. Hot climates are perfectly acceptable to this tree. 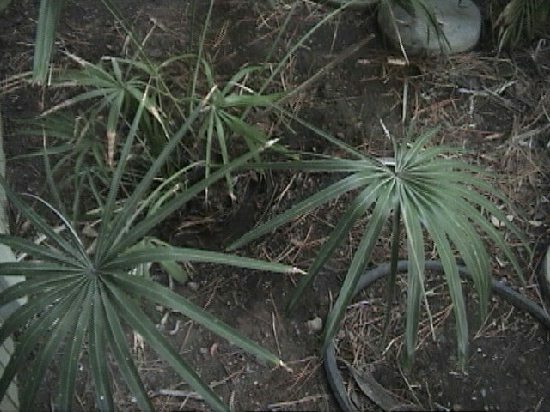 This palm is slow growing in the wild, but faster in cultivation with protection, shade, good well drained soil and an adequate supply of water. It does best in warmer, subtropical areas. This is an attractive shrub-like suckering tree with rough, thin and very short trunk if any at all. Will tolerate full sun but leaves will have a yellowish color. The best specimens are usually seen in filtered light and shade screen seems to create the best results. 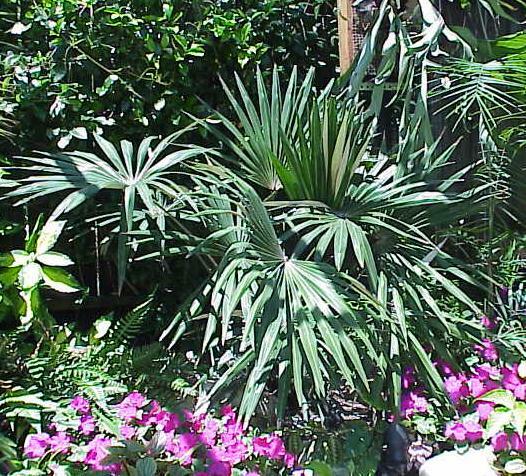 When originally imported into the U.S it was thought to be a Rhapis. Leaves are spoke-like palmate bicolor dark green with bright silvery white and sometimes gold undersides. Leaves are unique in having reduplicate (A shaped - as opposed to V-shaped) leaf segments. The reduplicate characteristic facilitates the shedding of water. At its base are a lot of upwardly pointing spines in a swirl and caution is advised when pruning dead leaves. The flower stalk emerges from among the leaf bases. Seed is round with edible black fruit, sometimes difficult to germinate and may need up to 6 months to sprout.